This is a collection of the best Pinterest WordPress themes that enables you to build a Pinterest style website with WordPress to showcase your images, work, portfolio, videos, post posts and other content in a competent way. Millions of monthly active users worldwide (mostly women), makes Pinterest one of the fastest growing networks online. It allows users to collect, organize and share their beautiful images, videos and objects they find. 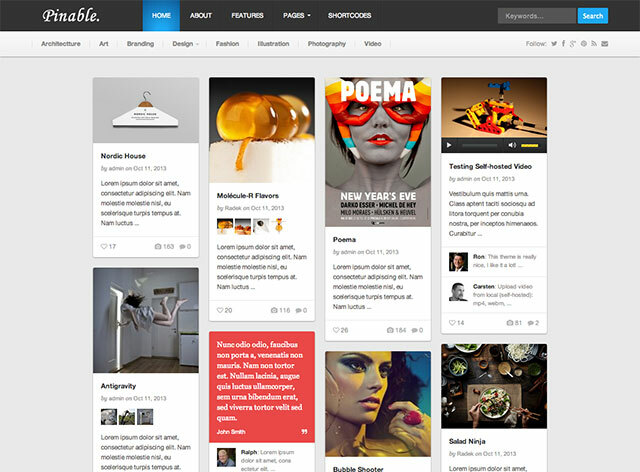 Pinterest became successful due of its clean, modern and responsive design and easy to use interface. 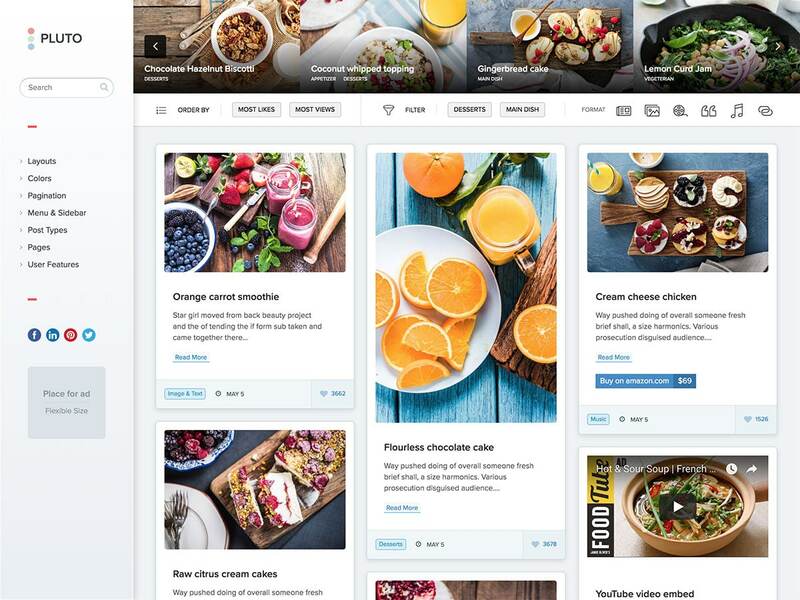 If you’re looking for a Pinterest clone template or just want to create your own content sharing website with a Pinterest style design and features, the premium Pinterest WordPress themes mentioned below are great options. SKIN is a gradient-powered blog and shop WordPress theme with a layout similar to that of Pinterest. the theme comes with several creative layouts, including one with a round slider and special boxes. Pinstagram is a Pinterest-inspired theme that features the trademark grid layout with multiple post sizes and long list of posts. What’s nice about this design are the options to make certain posts larger and more dominant than others all within the grid layout. 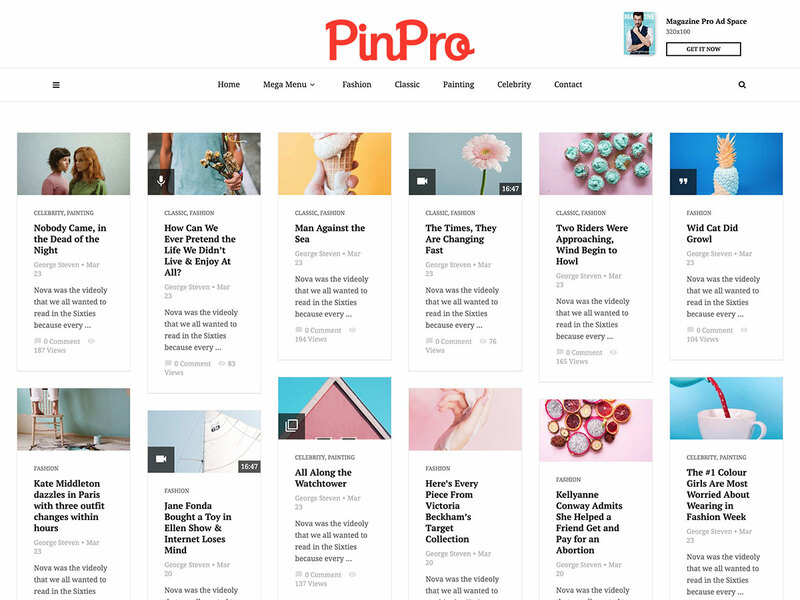 Pinfinity is a tumblr-like theme with Pinterest-style cards for the best of both blogging worlds. The theme is made for social sharing with a “like” feature that can be used on any of the different post formats (music, video, images, quote and links). 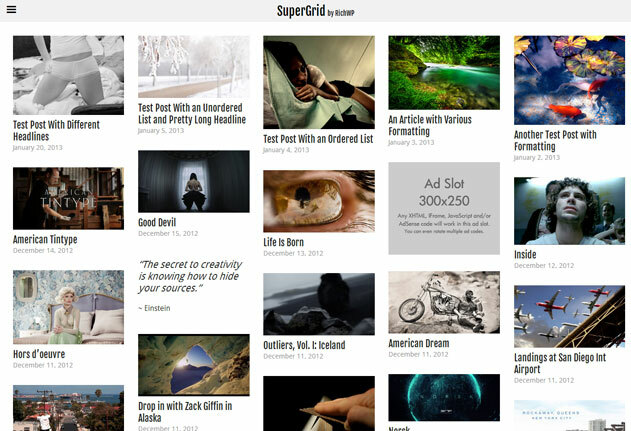 SuperGrid is a responsive grid theme with a minimal design that keeps the focus on content. Features include an in-grid ad widget areas, flyout navigation, infinite scroll, easy logo upload, page templates and plenty of color options. Pinable is a Pinterest- (or Behance-) like theme which supports various post types (audio, video, gallery, quote and link). The fully-responsive theme is best suited for creatives, bloggers for personal blogs, online portfolios or magazine websites. The Pluto theme takes a modern approach, using a clean, masonry blog layout for that Pinterest effect. 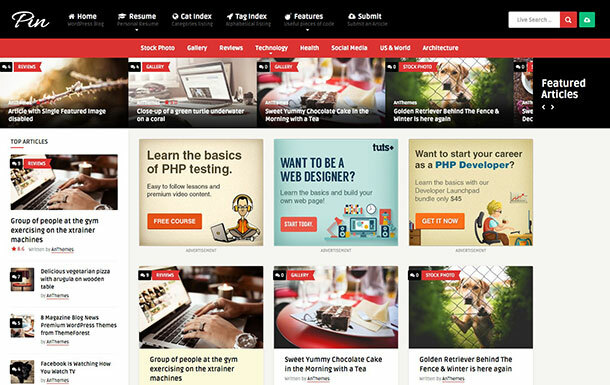 It’s a highly rated theme with user membership features that can turn your blog into a full community. 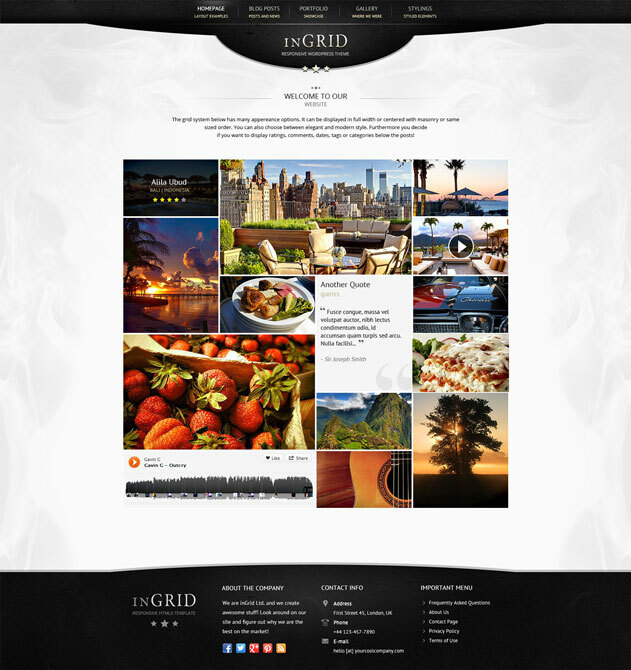 InGrid is a responsive theme that could work of a personal or business website. The theme includes powerful options such as Google font, color and size customizations, footer and header panel textures, a Revolution Slider ($15 value) and plenty of widgets and shortcodes. 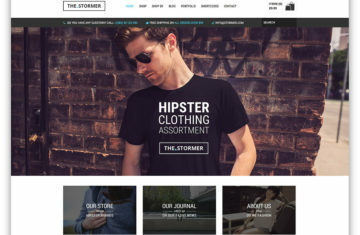 Fashionista is a responsive, masonry-style theme with fashion in mind. Use post formats for images, galleries, videos, MP3 files, quotes, links and standard text. Keep visitors engaged with a static header, social profile icons and sharing icons on single posts. 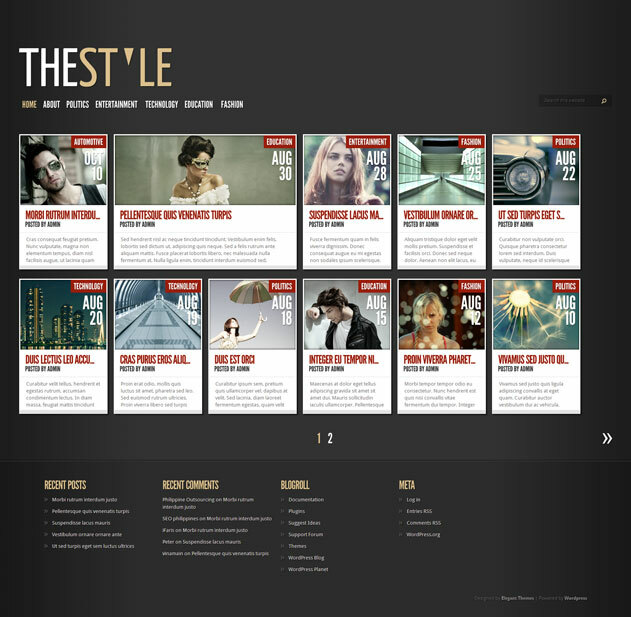 TheStyle has a unique jQuery-enhanced fluid width design so posts are always displayed in a way that is best-suited for your visitor’s device. The card-style design has an almost-magazine look to it with category and date tagging. Clippy is a simple, responsive, pin-style theme for your personal blogs. 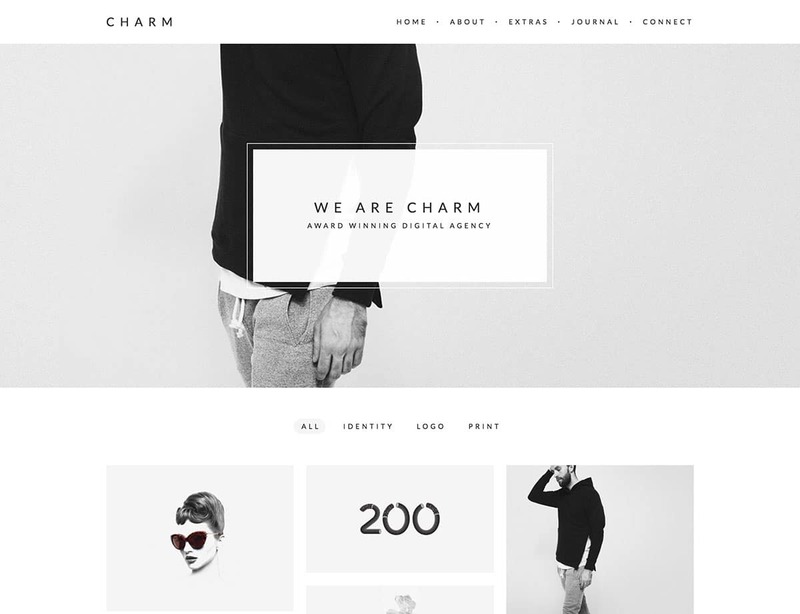 It features a feminine aesthetic with plenty of post types. The theme can be connected to social media sites for content updates and sharing and includes recent posts, categories and blog tagging. Pinboard features an auto stacking feature with infinite scroll, designed to look just like Pinterest. 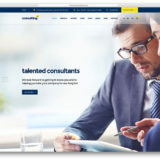 The responsive theme includes multisite integration, multiple grid layout options, a welcome message area, multimedia posting, commenting, author bio and photo, and plenty of standard features such as widgets, shortcodes and a drag and drop layout editor. Plus you can add customization and sell items with WooCommerce integration. Pintores is a responsive theme designed to help you share your online life in a card-style format. This theme is designed in a manner that makes it look different for every user thanks to features such as multiple post formats (normal posts, music tracks, video, audio, photo, quote and linking) and plenty of advanced admin options. 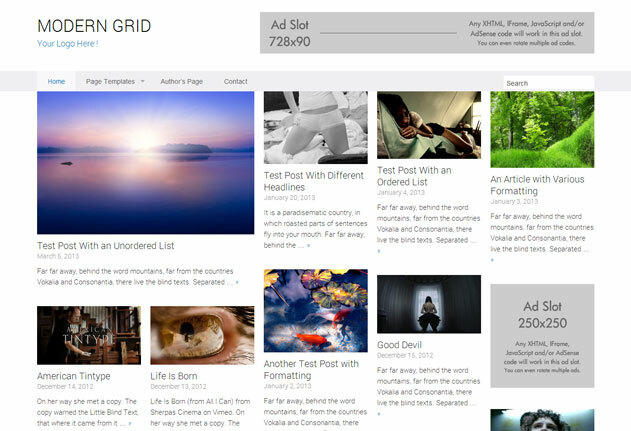 Modern Grid is a fully-responsive theme for bloggers with in-grid ad widget areas, a color changer, easy logo insertion, page templates and automatic image resizing in a grid-style design. If you’re looking for a WordPress theme that almost exactly mimics the design of Pinterest, the MagPlus theme is a good place to start. But first of all, it’s worth mentioning that it’s a multipurpose theme with over 40 demos. Therefore, you need to select the PinPro demo for it to look like that. 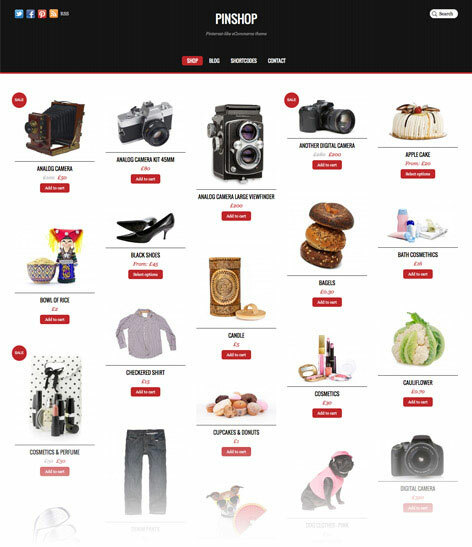 Pinshop is an ecommerce theme that is inspired by the Pinterest site and the popular Pinboard theme. With a modern infinite-scrolling design and flat-style design, users will love the experience this theme provides. Pinboard lets you create pinboards (hence the name) in a blog-style format. 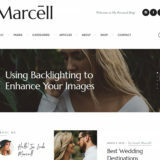 The responsive theme features a flexible, multi-column grid, post thumbnails, multiple port formats, audio and video playback, a portfolio section, custom page templates and custom fonts and typography options. 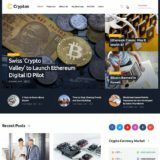 The Pin theme is a top-notch solution with a beautiful Pinterest style, making it look similar to a magazine or social network. When a user lands on the page they can either edit, create, view or delete the posts. 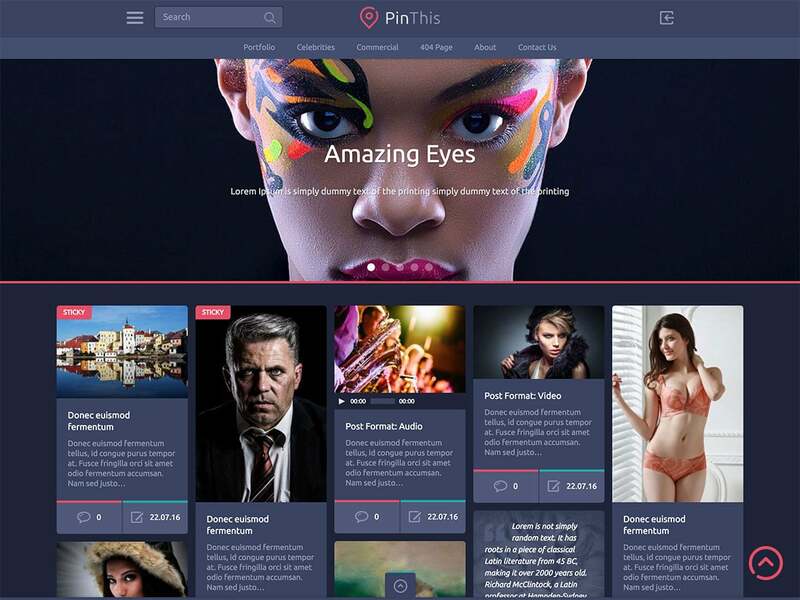 PinThis is designed just for setting up a blog that looks like Pinterest. The fully responsive layout is perfect for making an online magazine, photo blog or even a portfolio. 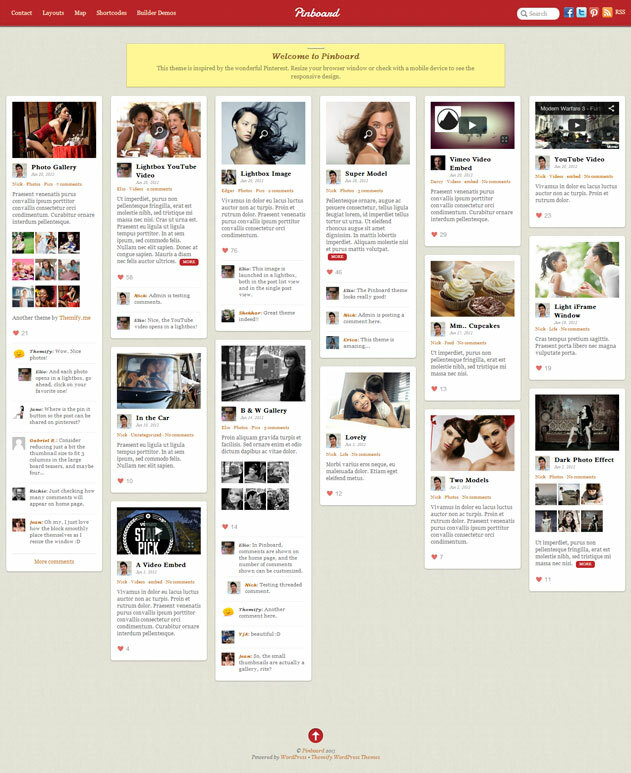 Pinboard is a Pinterest-styled theme with a grid layout and lots of built-in features. The free theme also has unlimited background and color scheme options and is fully customizable. 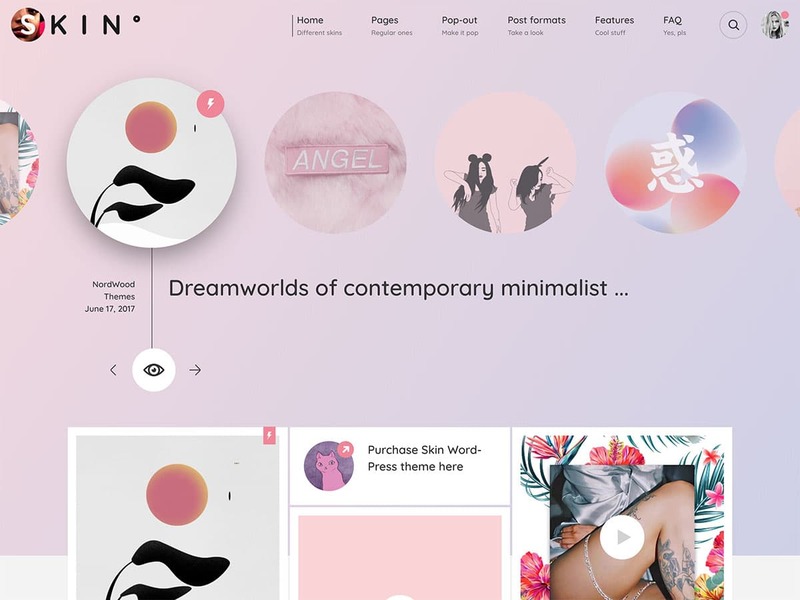 Ikebana is a minimal, clean and aesthetically-pleasing, yet powerful and highly customizable theme to use for agency websites, personal portfolios, photography or art showcases, as well as personal blogs and Pinterest-type collections. 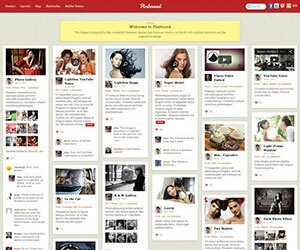 Remal is a responsive theme with a main image area that looks almost exactly like Pinterest. The theme includes four home page options, the ability to add full-screen backgrounds, 28 custom widgets, eight page templates, shortcodes, Google fonts and an unlimited number of colors and sidebars.